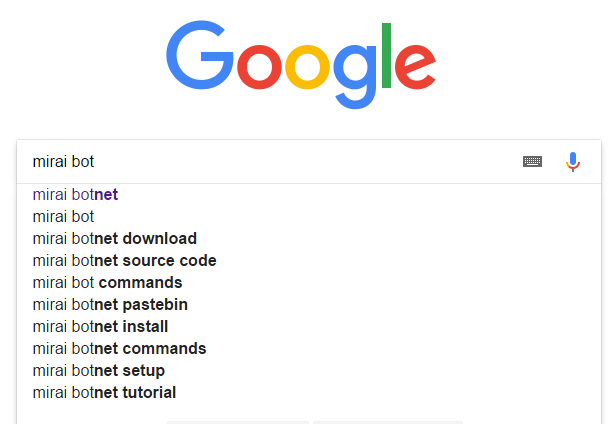 Google Search suggestions show an increase interest and, maybe, demand in Mirai – the piece of software used to create botnets capable of [very large] DDoS attacks. Brace yourself for new strains and attacks. P.S. The part with “mirai botnet tutorial” is kind of funny. Kind of. Continue reading"ArduWorm: A Functional Malware Targeting Arduino Devices"